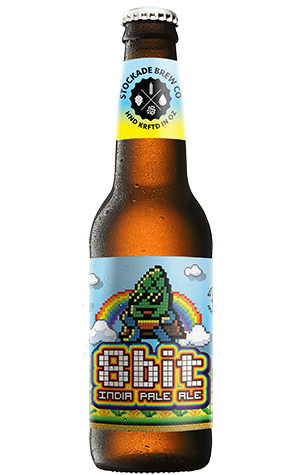 Many children of the 80s will take a fond look at the 8 BIT name of this beer and smile appreciatively at the countless hours lost in the pixellated void of Atari, Nintendo and their ilk. Somewhat like the stripped back, fun first nature of those early games consoles, this West Coast IPA isn’t beer that’s necessarily built for deep thinking, just good drinking. And that it offers in spades with huge hop aromas of lemon and pine sitting atop a big and refreshing bitterness and a lean malt base. With hop additions in the kettle, whirlpool, hop back and dry hopping, 8BIT is bound to surprise more than a few hop heads with just how much fun it actually is.